From pizza to pierogi to paella, Europe has contributed some of the world’s most satisfying comfort food. 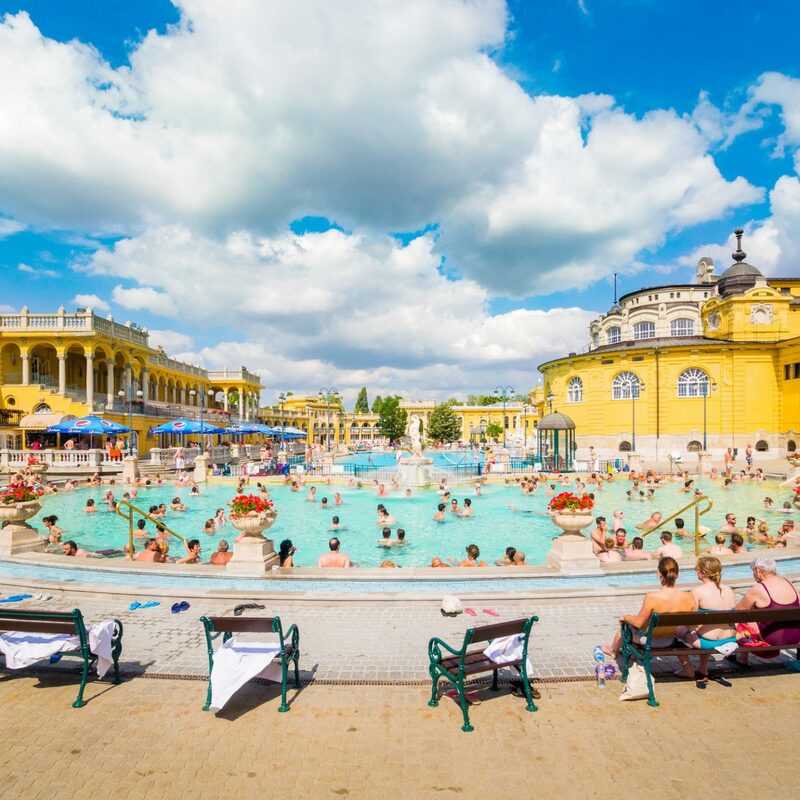 Today, these delicious dishes are replicated by chefs around the globe, but should you hanker for the real deal in its native environment, check out our list of 20 best comfort foods in Europe to guide your culinary travels. Where to Get it: Franco Pepe is the legendary pizzaiolo behind Campania’s Pepe in Grani, celebrated the world over for his perfect leopard-spotted pies. 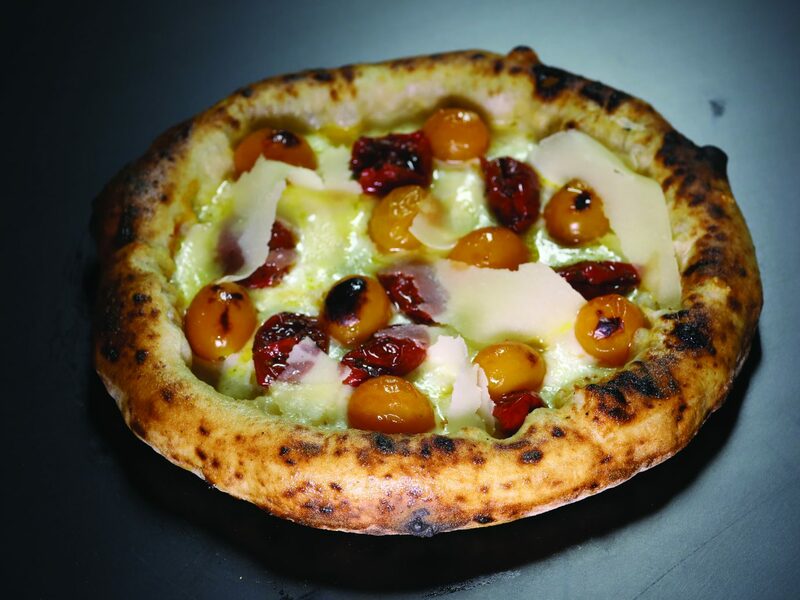 At his clean, tri-level eatery marked by centuries-old stone walls, guests from Italy and around the world line up for his expert classic and contemporary pies. Pro tip: Pepe just launched his first location outside of Italy, in Hong Kong, called Kytaly. The Dish: Steak and fries, simple as that. Where to Get it: This super classic Parisian bistro has become somewhat of an institution in the City of Lights, lauded for its traditional bistro fare made with great ingredients and deft technique. Step inside and it’s everything you could want from a bistro experience, from the hustle and bustle of the dining room to a menu of French classics. 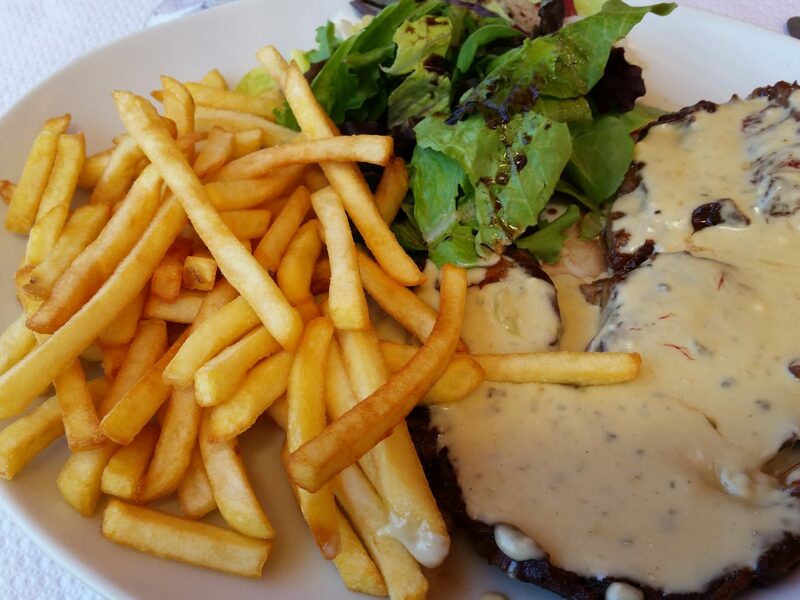 The steak frites comes with thick-cut fries besides a plate of medallion of beef blanketed in a rich sauce made from cream, black peppercorns, and Cognac. Don’t forget to order a bottle of red on the side. 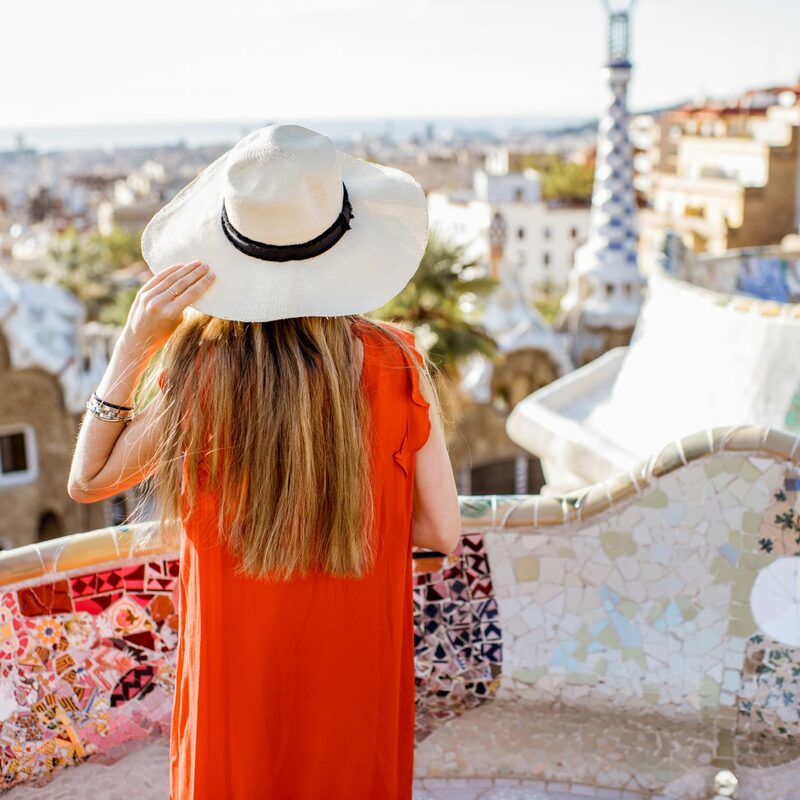 The Dish: It’s nearly impossible to find a tapas bar that doesn’t serve Spain’s prized protein, jamón ibérico, as well as the Catalan classic Pan con Tomate, or toasted bread brushed with tomato. 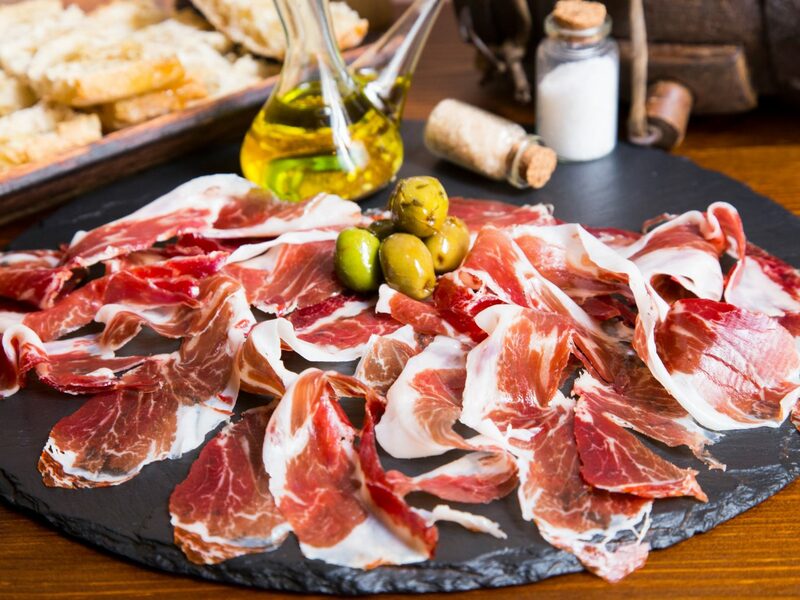 Jamón ibérico is a cured ham made from pigs that feed on a diet of acorns and has a umami-rich flavor and melty texture. The ham is sometimes served with pan con tomate, and restaurants all over Spain turn out slightly different versions. Where to Get it: Bodega 1900 is the tiny traditional tapas joint owned by the world-famous Adria brothers––founders of what many once considered the world’s “best” restaurant, elBulli, known for its progressive cooking techniques. This cozy and casual nook is all about celebrating Spain’s rich culinary past. 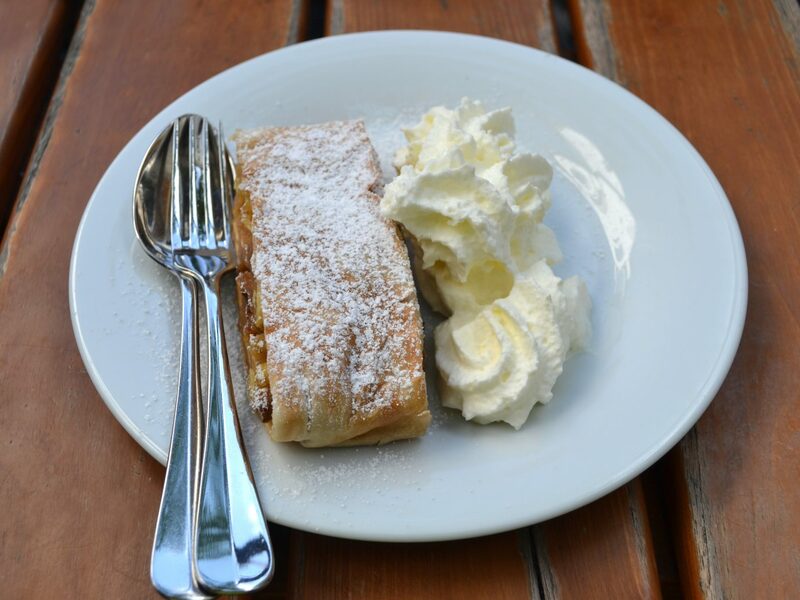 The Dish: A pastry made from rolled dough filled with apples, walnuts, raisins, and cinnamon sugar. Where to Get it: The Art Nouveau-style Café Savoy first opened in 1893, but it was renovated into its current glamour almost two decades ago. 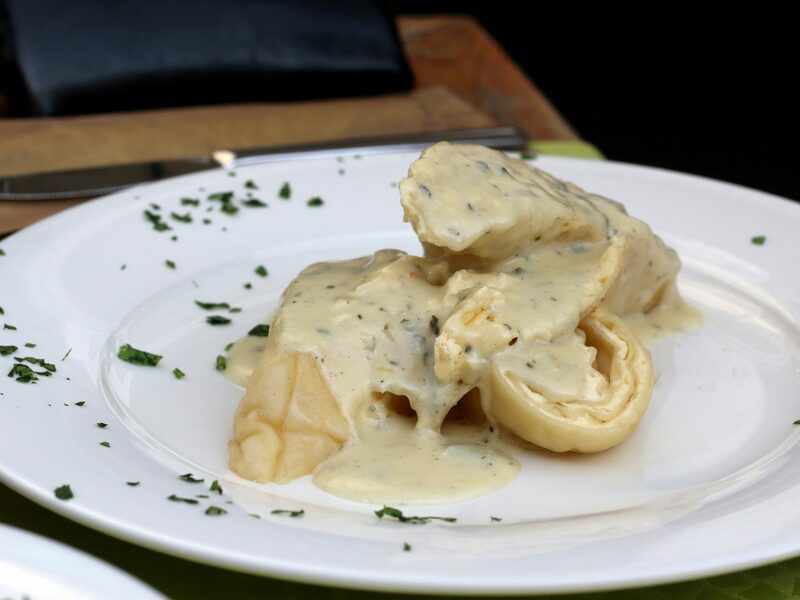 Since then, the place has become one of Prague’s requisite stops for an elegant brunch, lunch, or mid-day coffee, serving classic Czech plates made from the best local ingredients. 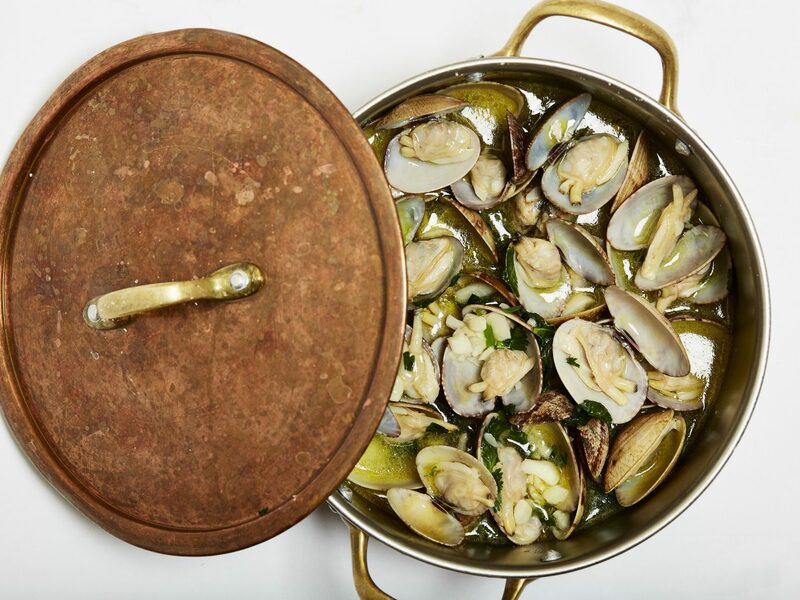 The Dish: Portugal's culinary traditions may not be as well known as Spain's, but they’re just as rich. Hugging the Atlantic Ocean, the country excels in pretty much all dishes which involve seafood. 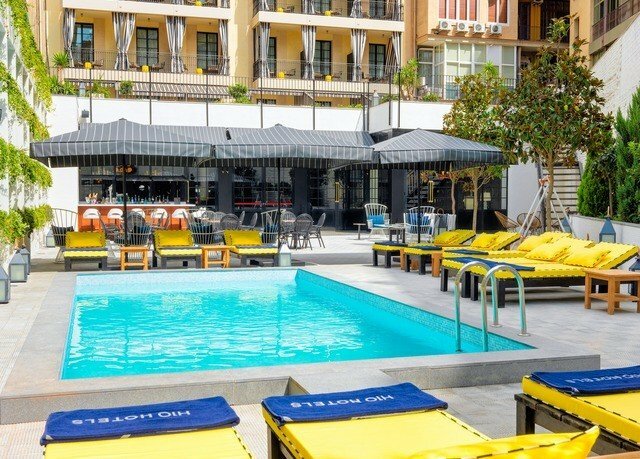 Where to Get it: There's a reason that it takes at least an hour to get a table at Cervejaria Ramiro, and that’s if you show up at 4 p.m. This no frills seafood eatery dates back to the 1950s and has made a name for itself for turning out simple boiled, steamed, sautéed, raw and fried seafood. Our favorite plates: the enormous, crimson-colored tiger shrimp doused in butter, and Percebes, fresh wild goose barnacles. 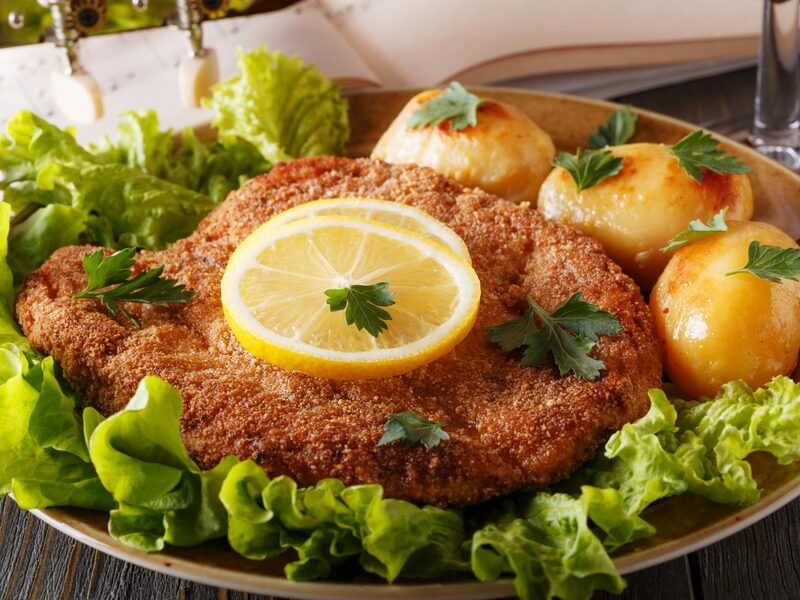 The Dish: This Austrian specialty involves a thin veal cutlet that’s breaded and fried and is usually served with lemon and potato salad on the side. Where to Get it: Figlmüller has been an Austrian institution for more than a century of service. The dining room is a little austere with simple wooden furniture, but the food is unforgettable. Simply garnished with a lemon wedge, the wiener schnitzel here is so large it's bigger than the plate on which it's served. The Dish: Commonly served with pasta, ragu is as you probably know already, a meat-based tomato sauce. It can include proteins like beef, pork, veal, chicken, or a blend. Where to Get it: Parts of Castello di Gabbiano date back to the 12th century, but today this historic castle estate serves as a luxury hotel, winery, and restaurant. Il Cavaliere hinges on traditional, regional Italian cuisine made from local ingredients. 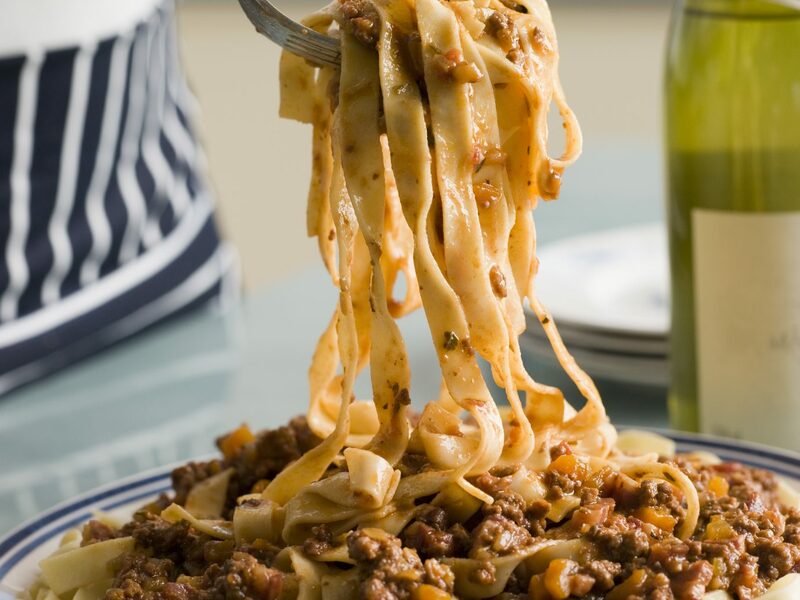 The dish to order is the ragu of beef, chicken, and pork, spiked with a dose of sweet Marsala wine, and served over whole grain pappardelle. Pair it with a glass of Cavaliere d’ Oro Chianti Classico Riserva produced onsite. The Dish: Borscht is sour-tasting cheery red-magenta soup––served cold or hot­­––that gets its zippy color from its principal ingredient: beets. The soup can be made in a variety of ways, with a medley of ingredients, like celery, potatoes, and cabbage. It’s typically garnished with a dollop of sour cream and fresh dill. Where to Get it: The quirky, multi-level Ukrainian restaurant Borscht at Pervak feels like a beer hall decorated with tchotchkes. 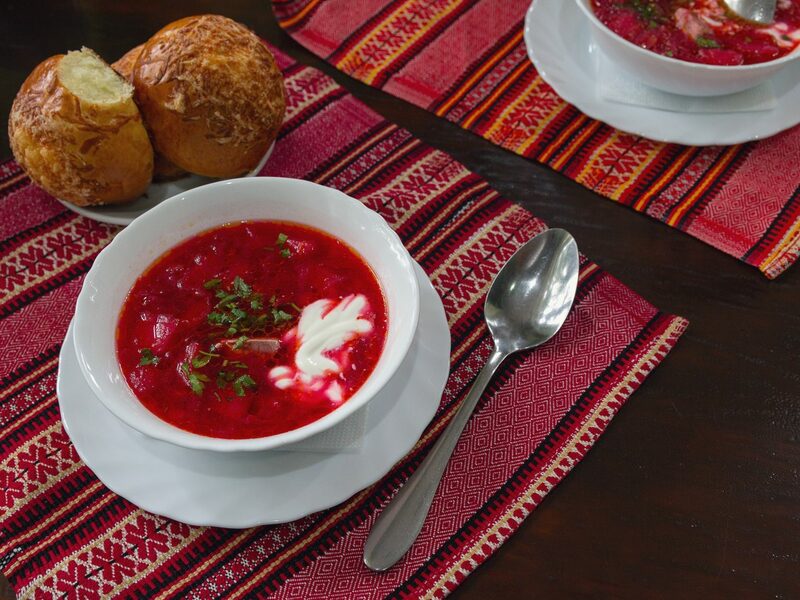 Here, the chicken-based borscht is a house special and is accompanied by pampushkas, or Ukrainina garlic rolls. 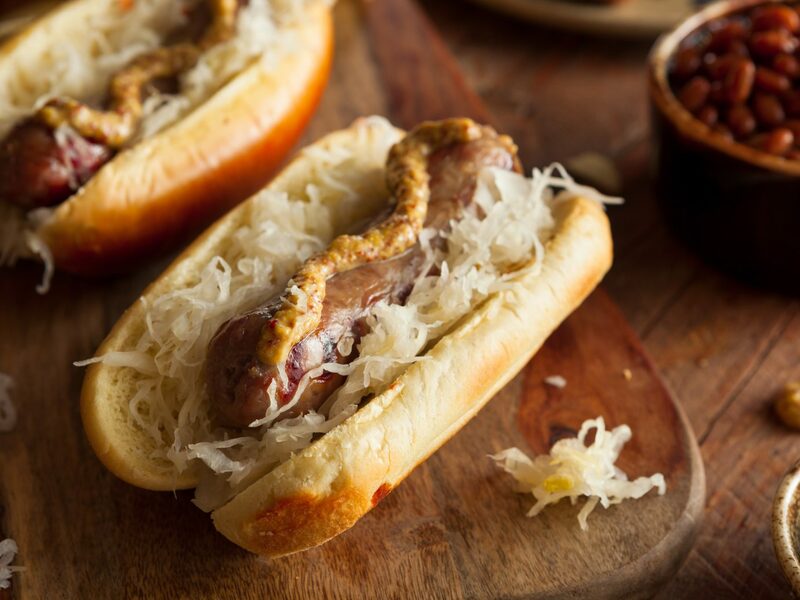 The Dish: Bratwurst is a type of sausage most commonly made from pork, but can also be assembled from veal or beef. Recipes for bratwurst, including the addition of spices and sometimes dairy, vary regionally. Where to Get it: An institution in Berlin for excellent sausages, charcuterie, and smoked fish, the Rogacki is a casual, old-school Germany deli that dates back to the early 20th century. 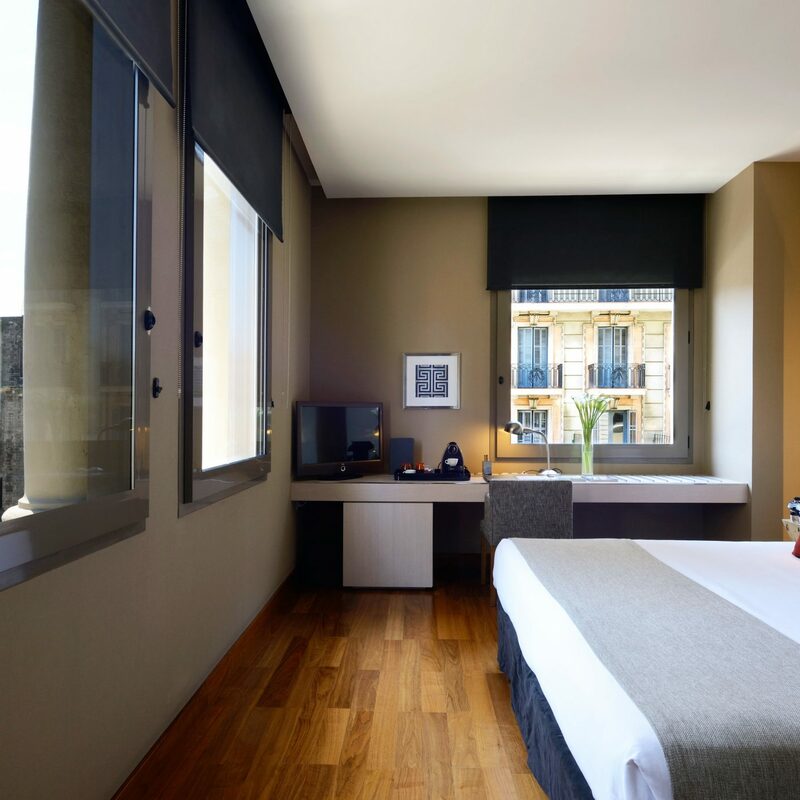 It’s a requisite stop for travelers keen to experience a blast from the past in both food and décor. 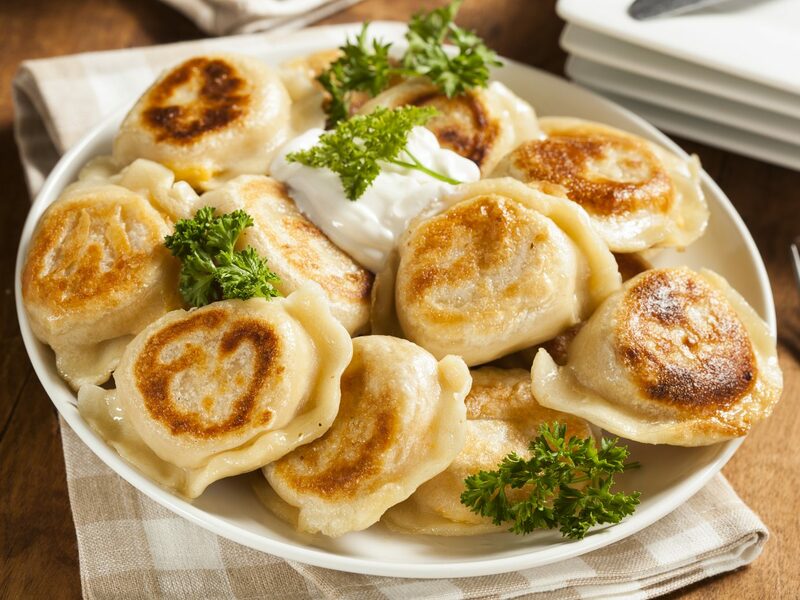 The Dish: While the precise origins of pierogi are little-known, Poland has claimed these Central European boiled potato or cheese-filled dumplings as its own. Today, you can find old and modern iterations throughout the country, but traditionally they are served with sour cream or fried onions. Where to Get it: Grandma’s house is the best place in Poland to eat traditional pierogi, but for travelers who don’t have a familial connection, the next best bet is Zapiecek. This cozy chainlet, done up in flower prints and kitschy furniture, serves the national dish in various ways--stuffed with meat, cheese, veggies, or fruit fillings. 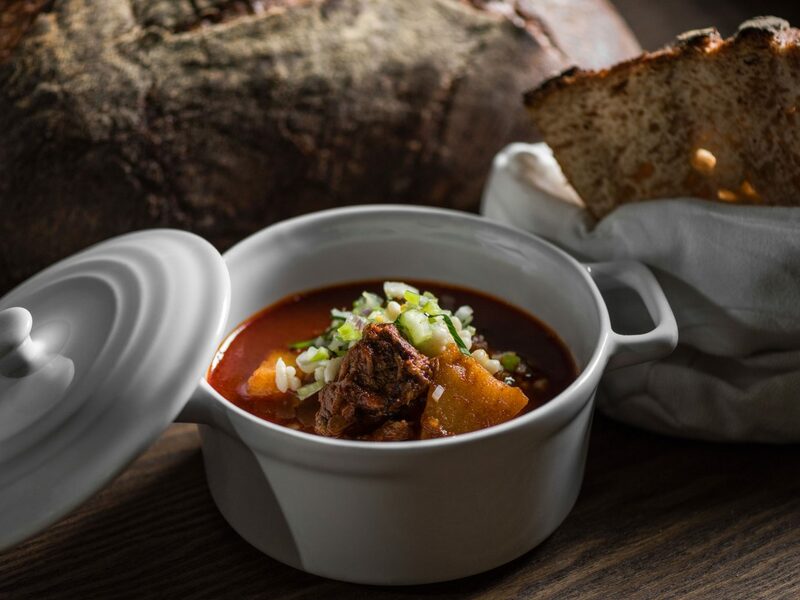 The Dish: With origins in ancient Hungary, goulash––a paprika-spiked soup made from stewed meats, like beef, along with potatoes, tomatoes, and other ingredients––is served throughout Central Europe. Where to Get it: Stand 25 bistro is the brainchild of 2016 Bocuse d’Or winner Tamás Széll, and is the place to sample classic Hungarian cuisine. Their house-signature goulash just might be the best in town, made with smoky-tasting beef, and given a contemporary twist thanks to Moroccan lemon and celery on top. 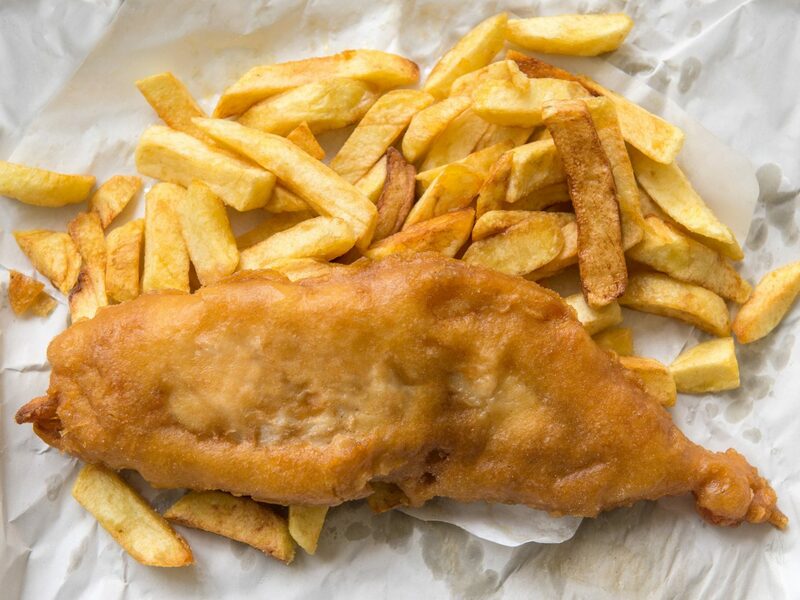 The Dish: The popular deep fried codfish with a side of “chips,” (what we in the U.S. call French fries) has defined British pub food for centuries. Where to Get it: The cozy, casual yet modern Fish and Chips at Golden Union specializes in flaky, fried sustainable fish––cod, haddock, and a couple others––in a crisp, light batter. On the side, expect thick-cut fries and tartare sauce. The Dish: Strukli is like white cheese (similar to ricotta or cottage cheese) rolled into a pastry, then boiled or baked. Where to Get it: There are many obscure places to sample Croatia’s signature dish, but the most popular is the 1950s Le Bistro at the legendary Esplanade hotel in Zagreb––the region where strukli first originated. 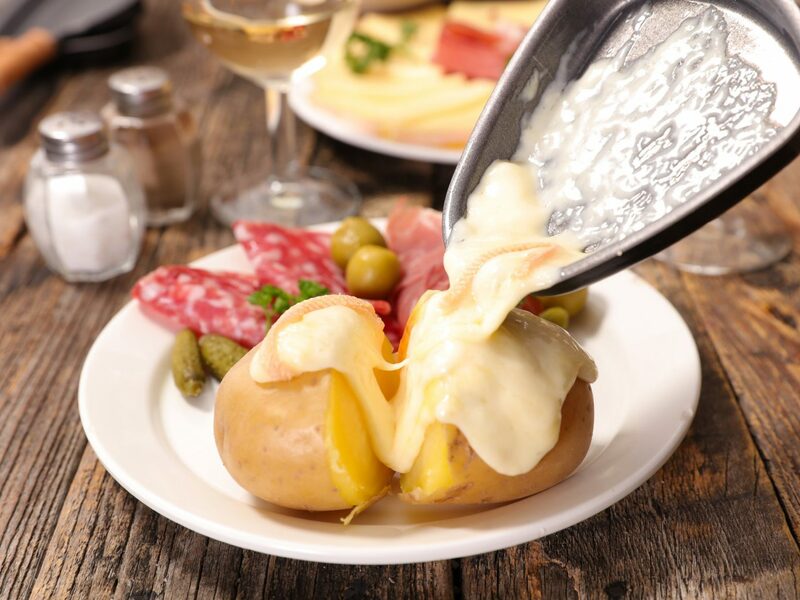 The Dish: Named after the type of cheese it uses, raclette is an ancient Swiss dish made from melted cheese that’s scraped off a griddle (or off the wheel of cheese itself) and often eaten with potatoes. Where to Get it: Decked out in floor-to-ceiling wood paneling, this traditional Swiss restaurant, a stone’s throw from Lake Geneva, specializes in melted cheese, both fondue and raclette. Here, the raclette is served with boiled potatoes, pickles, and onions. 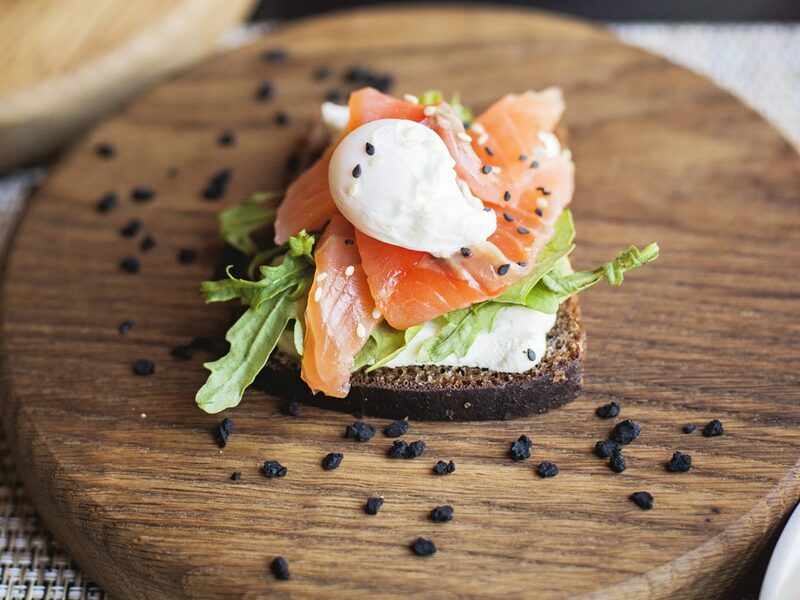 The Dish: Smørrebrød is basically an open-faced sandwich made from a slice of dark Danish rye bread, dressed with infinite toppings like shrimp and egg or cured fish. Where to Get it: Newly-minted Selma centers on contemporary smørrebrød with a fine dining touch. Within a cozy, minimalist space chef Magnus Peterson retools the Danish staple with cheffy arrangements like herring plus black currant crème fraiche. The Dish: In Brussels, you’ll find two types of waffles. 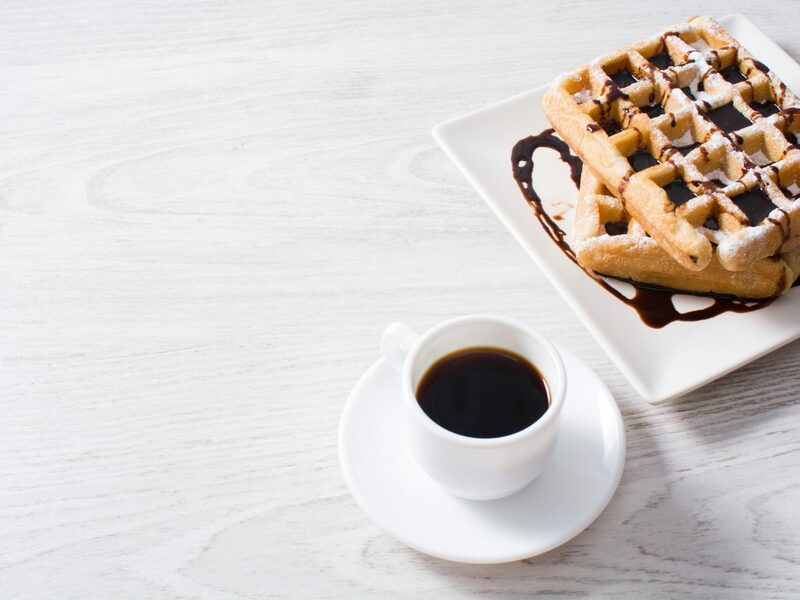 The "Brussels" waffle is cooked into a perfect rectangle that’s light and airy and lower in sugar; meanwhile, the famous oval-shaped liège waffle is sweeter and richer, and is made from a batter with large sugar crystals that caramelizes when cooking, yielding a sticky exterior. Where to Get it: Maison Dandoy, a bakery chainlet that dates back to the early 1900s, is one of Brussels’ most famous waffle joints. Sample either Brussels or liège-style in the tea room or grab and go––each version can be customized with toppings like whipped cream and chocolate. The Dish: This classical baked Greek dish varies by region, but is commonly made from layers of eggplant or potato, along with ground meat, topped with a layer of creamy-cheesy béchamel sauce. It’s sort of like a Greek version of lasagna minus the pasta. Where to Get it: Rustic Klimataria is exactly what you’d want from an old school taverna, decorated with wine barrels and grape vines dripping from ceiling beams. 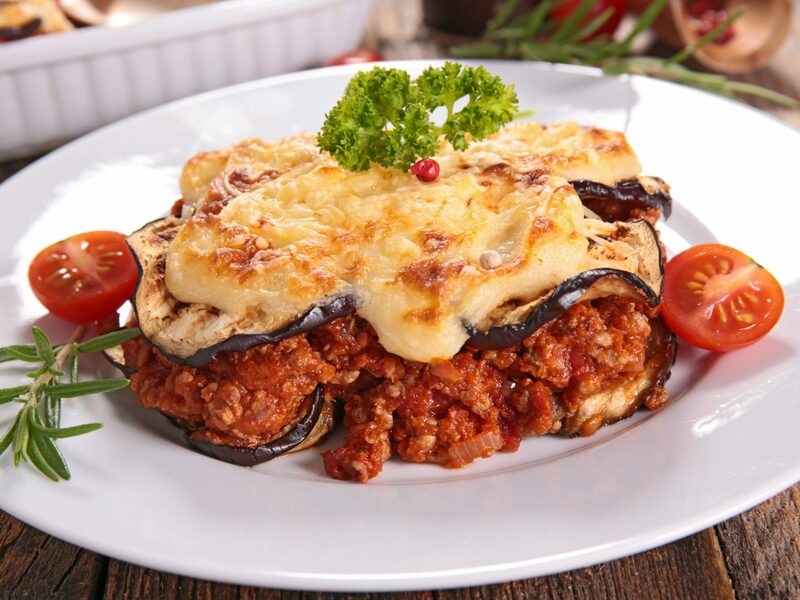 The no-frills eatery has been serving hearty home-style plates since the early 20th century, including generous portions of moussaka topped with freshly grated cheese. 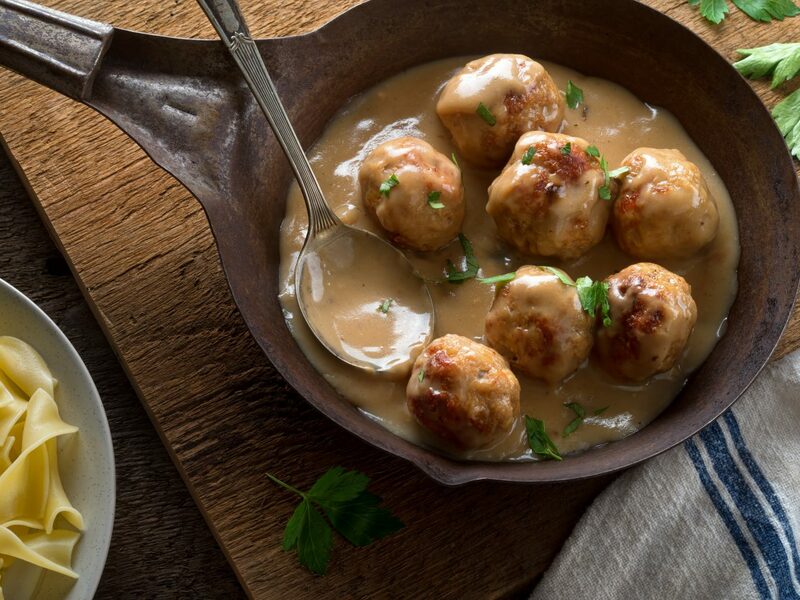 The Dish: Swedish meatballs, typically made from a blend of beef and pork, are tablespoon-sized orbs usually flavored with warm spices like nutmeg and ginger, blanketed in a creamy beef gravy. Where to Get it: The Stockholm institution Pelikan serves classic Swedish fare in an airy, upscale bistro with a mid-century feel. Drop in for the large meatballs dressed with a thick beef gravy, beside a puddle of lingonberries and pickle wedges. Expect mashed potatoes on the side, too. The Dish: This airy baked egg dish gets its fluffy texture from whipped egg whites, which a chef blends with yolks and other ingredients, both sweet or savory. 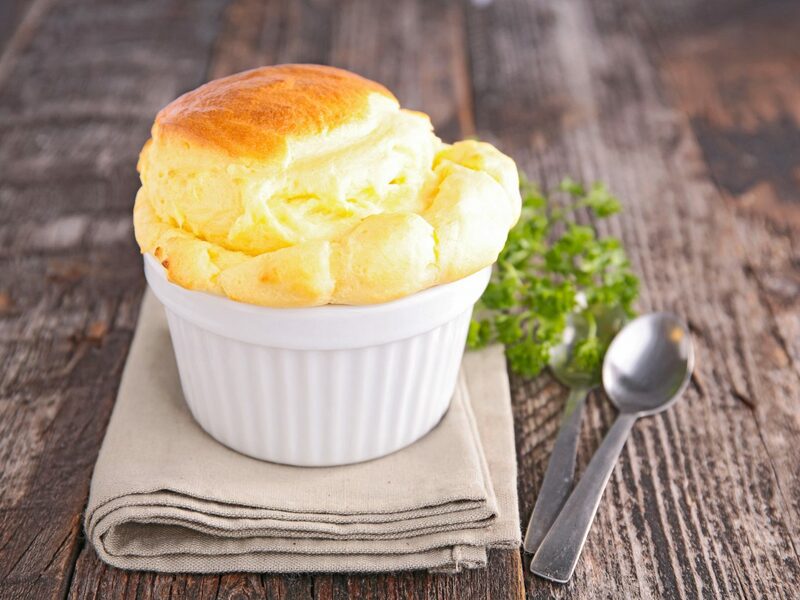 Classic soufflé flavors include cheese or chocolate. Where to Get it: While this ancient French dish can be found in Parisian restaurants both high and low, one of the world’s most renowned French chefs––the late Joel Robuchon––does it best. While his soufflé flavors vary, the current version includes a tropical passionfruit number with piña colada sorbet. 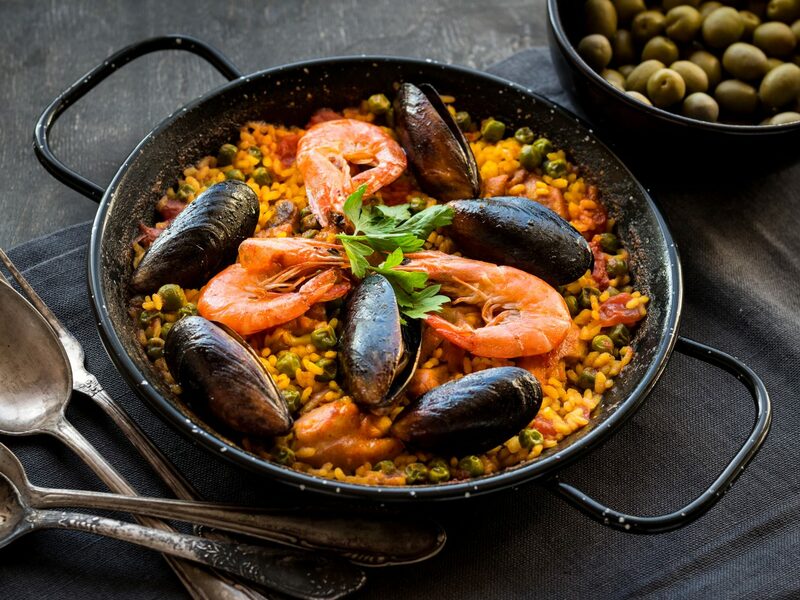 The Dish: Paella is a saffron-flavored rich dish made in a large, shallow pan, flecked with various ingredients like chicken, vegetables, seafood, or a mix of all. 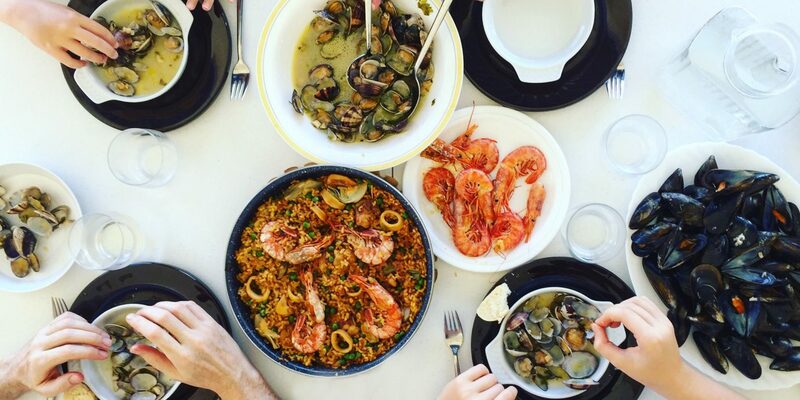 Where to Get it: Though a bit out of the way, Restaurante Levante––a simple family-run eatery just north of Valencia in Benisanó––has been specializing in rice since 1968. And while a number of rice dishes grace the menu, the dish to try is paella Valenciana, which combines chicken, rabbit, broad beans, green beans, and tomatoes atop a thin layer of orange-stained rice.